Not long after the current president of Nigeria popularly known as the African Hitler Muhammadu Buhari (AHMB) assumed office that Pete Hoekstra who incidentally is a senior fellow at the Investigative Project on Terrorism in Washington DC wrote to warn all that cared to listen that ’’Buhari is Nigeria's problem and not its solution." According to him everything points to the fact that Hitler Buhari does not only give tacit support to terrorist organizations but equally implements their ideologies. 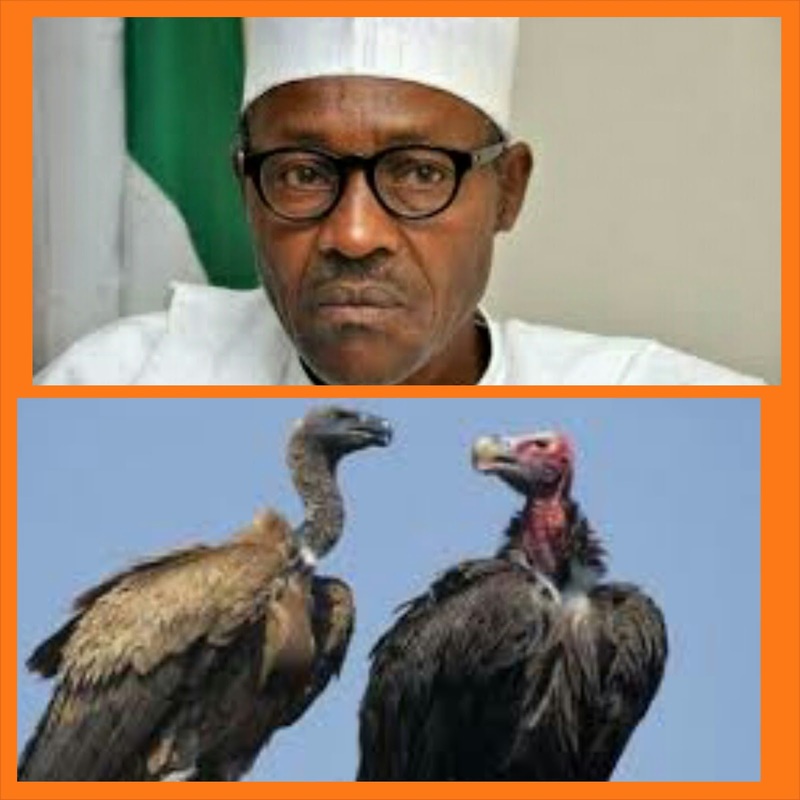 It’s on record that not long after AHMB became president that the 4th most dangerous terrorist organization in the world, the ‘’Fulani herdsmen’’ developed the mentality of ‘’one of us is in power’’ which has given them the audacity to murder with impunity thousands of innocent citizens since May 29th, 2015 with the tacit support of the Buhari-led government; while Buhari looks the other way, the killings goes on unabated. In other times when the government even tries to act, it chooses to fight against those who are advocating for the stoppage of the injustice in the land. Just a few weeks ago, the Chief of Defence Staff. Gen. Abayomi Olonishakin was quoted as warning the freedom fighting group, the Indigenous People of Biafra (IPOB) and the militant groups in the Niger Delta clamouring for "secession" ( in Nigeria's term) to refrain from the act or be dealt with. Not done with his clueless rants, the CDS vowed that those agitators for freedom will be dealt with if they do not desist. He further quoted the ex-Head of State, retired Gen. Yakubu Gowon saying ‘’to keep Nigeria one is a task that must be done’’ The CDS inability to warn the murderous Fulani herdsmen to desist from further killings instead of warning peaceful right to self-determination advocates as enshrined in the UN charter further confirms the open secret that Nigeria under AHMB has officially become a terrorist state where terrorist organizations can kill innocent citizens at will and go scot free from the long arms of the law. The Chief of Army Staff, Lt.-Gen Tukur Buratai equally supported his defence counterpart restating the determination of the Army to tackle the myriad of security challenges facing the country which he listed as the activities of the Niger Delta Militants and the call for secession (sic) by members of the Indigenous People of Biafra thus leaving out the activities of the murderous Fulani herdsmen. This confirms that the government does not consider the killings by the Fulani herdsmen as a problem because its serves her purpose of eliminating members of the 5 percenters who the Buhari-led government hates so much for not voting for him during the last general election that brought him to power. Under AHMB, the Department of State Security (Gestapo DSS) now kidnaps innocent citizens at will without charging them to court. The organization has become a serial kidnapper of citizens. The worse is that unlike the conventional kidnappers that makes contact to demand ransom from the victim’s family for his or her release, the terrorist DSS under Buhari kidnaps its victims and keep them incommunicado from their families and loved ones expecting the families to be the ones to make contact with it and negotiate the ransom for their release. The DSS currently has kidnapped quite a good number of Biafra agitators and kept them incommunicado. The Gestapo organization under Buhari has equally refused to charge her kidnapped Biafran victims to court. Our source who is very familiar and knowledgeable with the modus operandi of the organization since Buhari took over confirms that the Gestapo outfit is expecting the families of her kidnapped Biafran victims to contact them and negotiate the release of their loved ones by paying ‘’release ransom’’ to the operatives of the organization which usually ends up getting shared by the top hierarchy of the outfit. When pressed further to throw more light on what he means by tagging the DSS Gestapo outfit a legalized ‘’kidnapping organization primarily targeted at Biafrans since Buhari came to power", the source asked…… ‘’’who ever doubts his claim should ask the organization why it has become a matter of policy to detain her ’kidnapped’ Biafran agitators indefinitely without charging them to court if they have committed any crime? Why detain them indefinitely waiting on their families or for IPOB to make contact and negotiate release? What is the court meant for?’’’ he concluded. It is noteworthy that at the last count of several Biafra agitators that are being held incommunicado in various DSS detention centers across the country, some have stayed up to 5 months without being charged to court and others presumed dead as they are yet to accounted for after being accosted by the DSS during their visit to Nnamdi Kanu in Kuje prison. The list includes Bright Chimezie Isinwa, Moses Agbo, and Artiste Don Prince amongst others. The notion by Pete Hoekstra that ’’Buhari is Nigeria's problem and not its solution’’ is no longer in doubt to all sane followers of his activities since he took over the reign of the country; what is however in doubt is his sanity why he has ‘’vowed’’ that Biafrans will never be allow to exercise same right to self determination that he advocated for Islamic territories of Palestine and Western Sahara before the United Nations.